Four years after Adrian Vandenberg made a spectacular comeback with Vandenberg’s Moonkings, the band returns with a sophomore album, simply titled MK II. Due on November 3rd through the Mascot Label Group, the disc has all the qualities of the debut: once again the four-piece band manages to create a perfect mix of vintage seventies hard rock and current styles of heavy rock. Adrian Vandenberg shines as a bonafide guitar virtuoso, while the rest of the band also delivers in spades. Yet MK II has even more to offer than the highly praised first album. It shows how the band grew into a strong unit during the world tours of the recent years. Watch a video for the song, Tightrope, below. 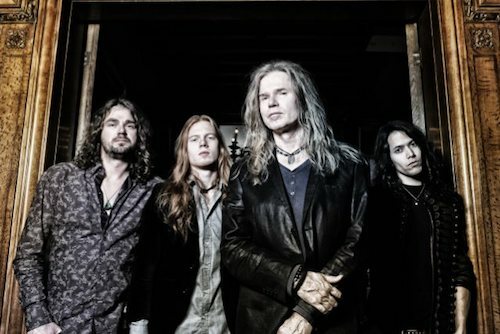 I am just getting into Moonkings and I love it! The singer at times sound a lot like Badlands which is incredible. There is also a great version of Sailing ships with David Coverdale but not Steve Vai on guitar. 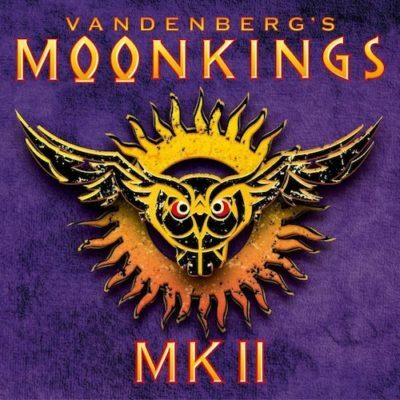 I really enjoyed Adrian’s playing on the first Moonkings record. And I thought the songs were great. The singing, however, took me awhile to get into. The guys’ voice reminds me of the vocalist in Red Dragon Cartel with Jake E. Lee, and it took me awhile to enjoy that record, as well. I don’t know what it was about both of these guys’ voices, they just sort of irritated me at first. Hopefully, now that I am used to it, I will enjoy this record right away. Look forward to getting it! I have to disagree with you on this Keith. I know what you are talking about on Jake e lees disc. It is tough to listen to some of the songs, but not on this cd at all. His name is Jan Hoving. At times like I said he sounds like Ray Gillian. His voice is not bad at all. Listen to the whole cd again. About half way into the cd it shows signs of greatness. I just got Great whites Back to the rhythm. Can wait to hear it! Wolf Alices new cd comes out on friday! !